Invoicing is a necessary task for independent and freelance creatives. While default invoices can often be underwhelming in terms of design, there are a number of ways to improve them and bring them up to the high standards we creatives set for ourselves. One of these is to use a beautiful free invoice template, tailored toward individuals in the creative industry. From there, it’s quick and easy to customize them to fit your personal brand and desired design language. In turn, it should help to further impress upon clients and improve your overall personal brand. 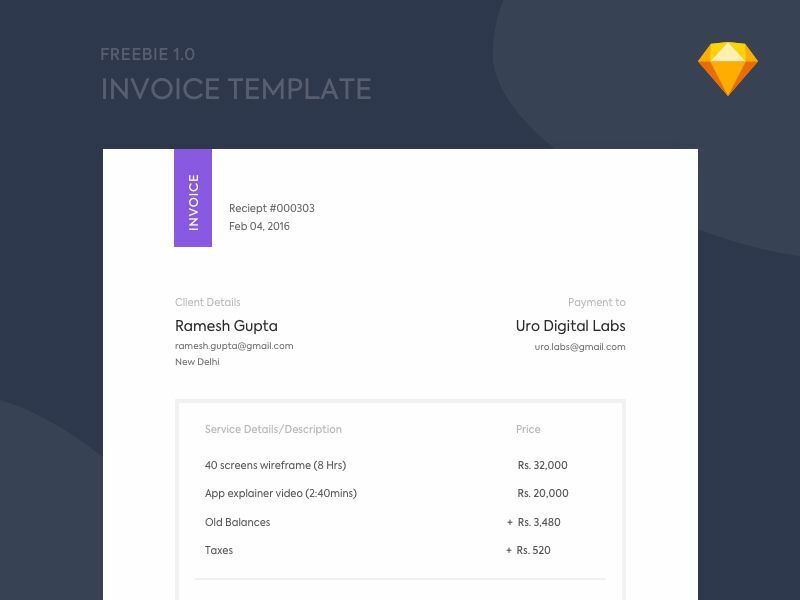 In this article we are going to bring together ten of the most beautiful free invoice templates available for creatives. 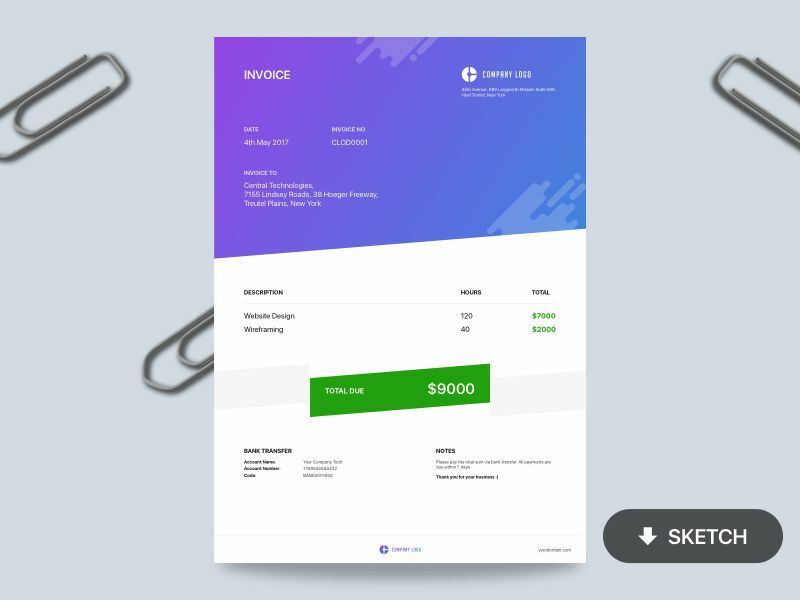 This free invoice template for Sketch uses a spacious layout with bold titles and a single primary color. The backside uses an impressive repeating pattern which could easily be customised to fit your personal brand. 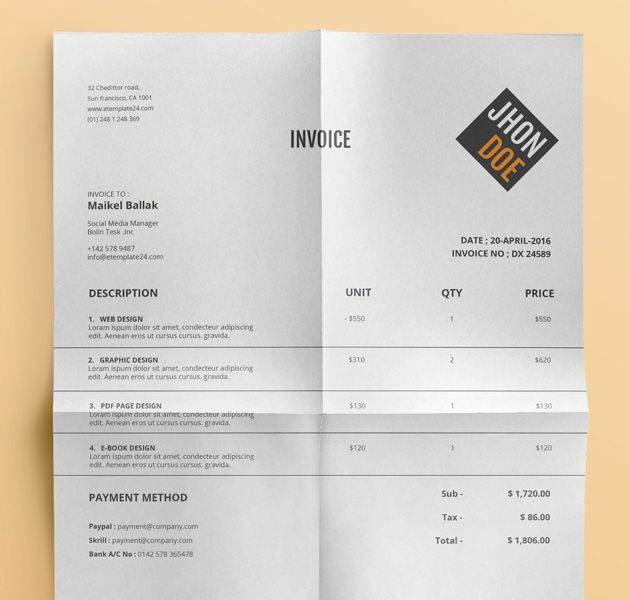 This invoice template is one of the more simplistic and minimal template designs. Swapping the logo and brand colors for your own would only take minutes and present you with a wonderfully polished design. 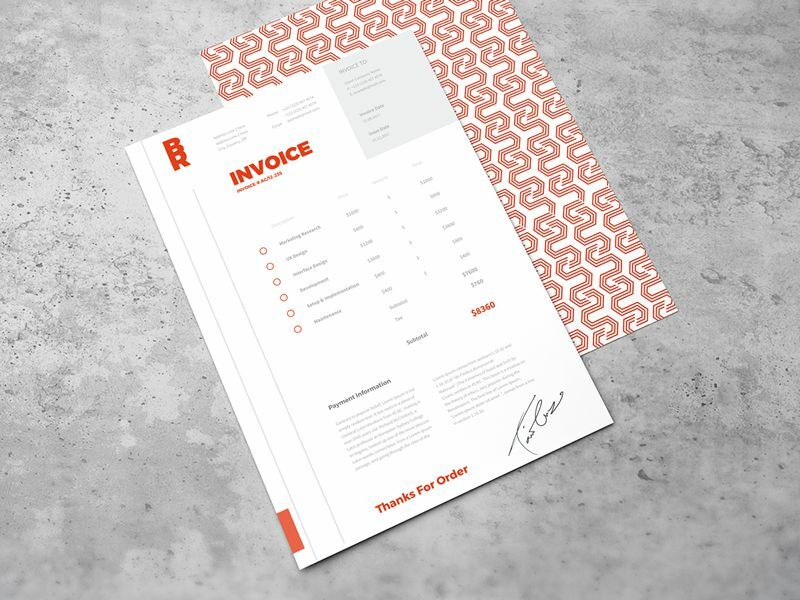 This beautiful free invoice template is another minimal example which uses an abundance of white space and well-chosen typography alongside a splash of color. 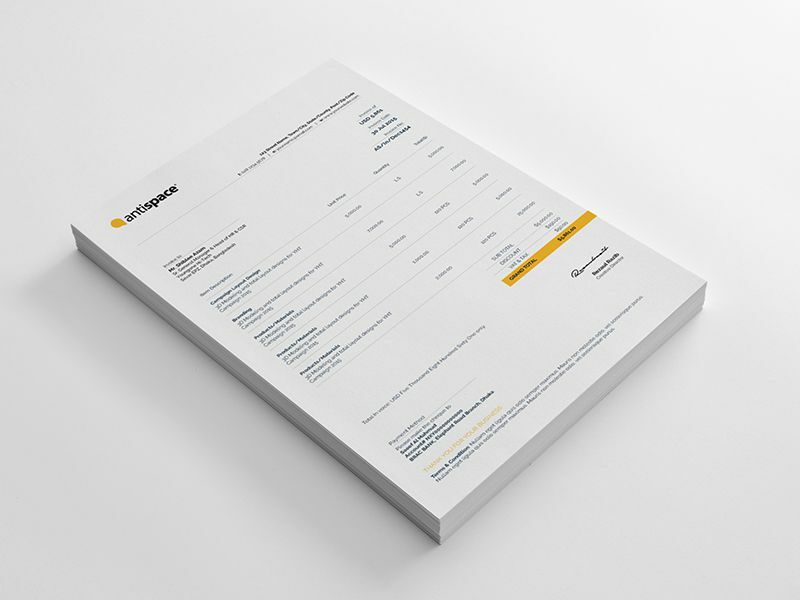 This perfectly presented invoice template makes use of the full page width and houses a well-structured and orderly design. The logo and colors are easily editable and allow you to have the invoice customised in minutes. 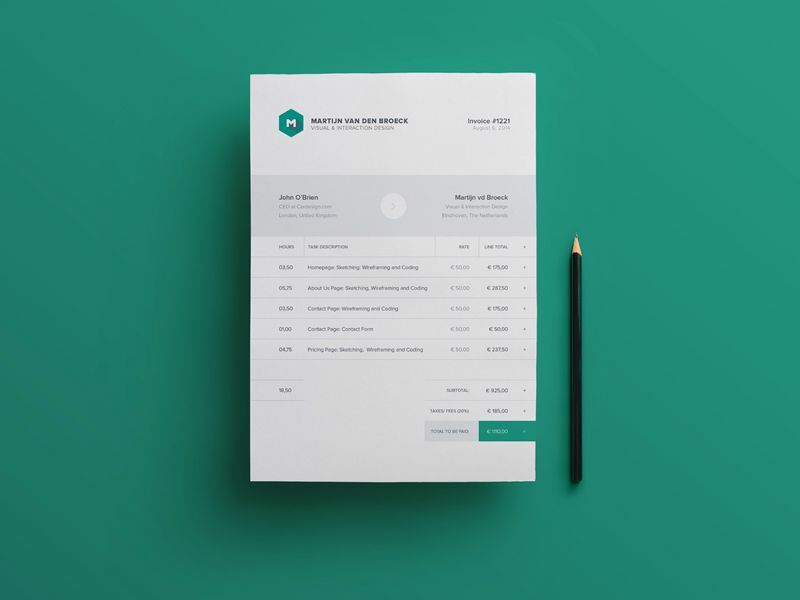 This invoice template is one of the most visually impressive with beautiful header gradients and a bold green highlight color. It wouldn’t make for the most printer-friendly option, but in today’s climate the printing of invoices is fast becoming a rare occurrence. Another visually impressive option is formed as part of this branding identity set. It uses well spaced content alongside a single primary color and monochrome footer image. 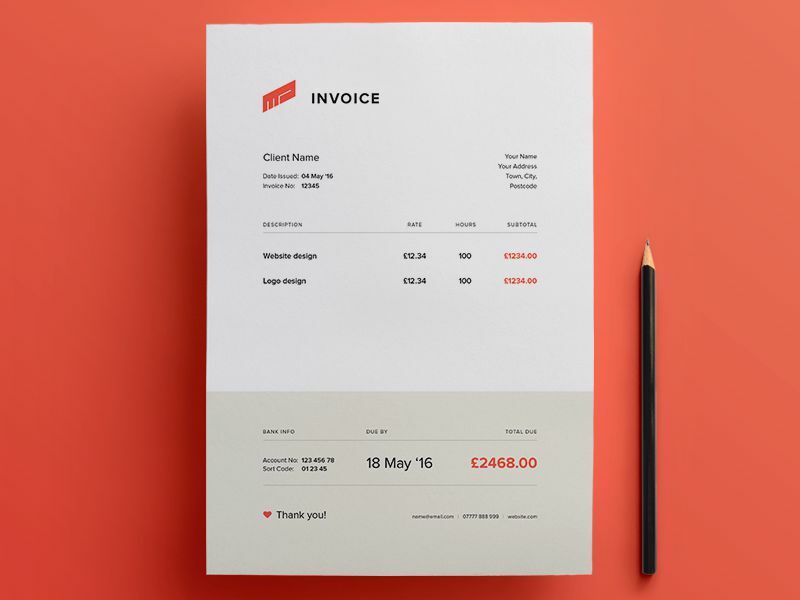 This simple grid-based invoice design is very printer-friendly and may suit best those creatives who need to offer paper copies of their invoices to clients. 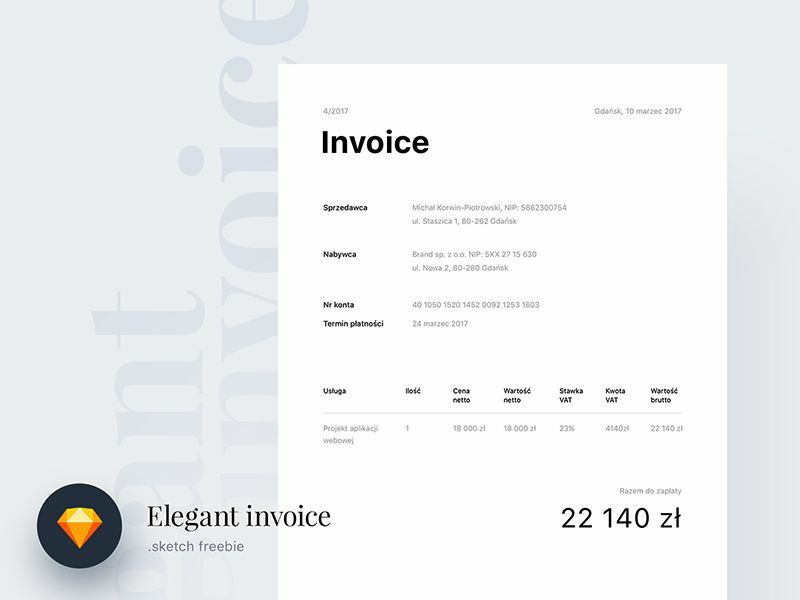 As one of the finest and most polished examples of an invoice design, this template is all but guaranteed to impress any client.It’s wonderfully presented and uses a unique two-tone design to separate the total due and due by date from the description list. Another simple design with a lot of merit. 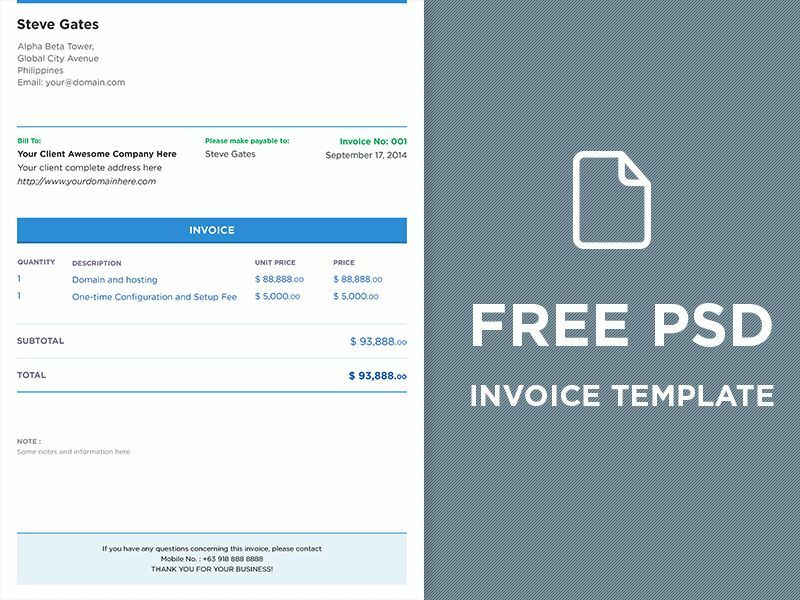 This free invoice template would be particularly good for printing and may also present the opportunity to code the template into an editable HTML-based invoice. 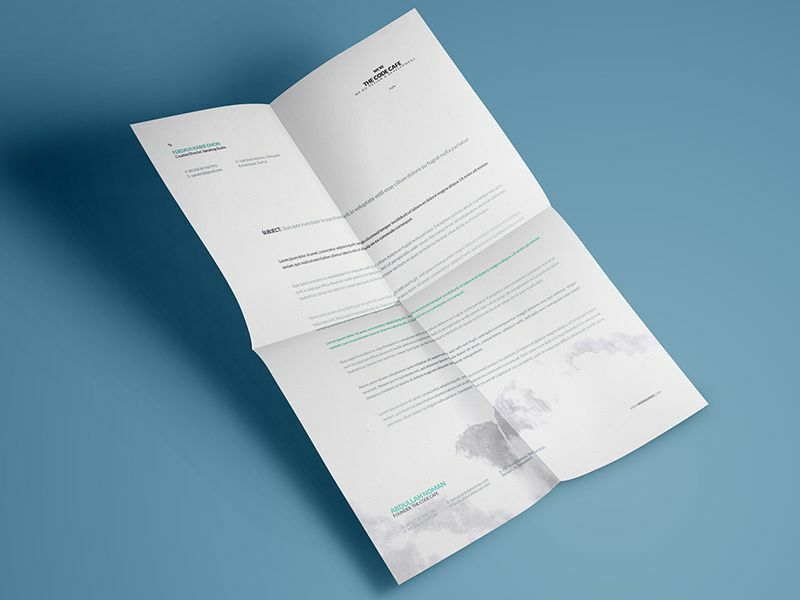 This free invoice template casts significant focus on the typography. It’s been executed elegantly and is ready to start using from the moment you download. There is great scope for customisation with this template design. How To Build A Real-Time App With GraphQL Subscriptions On Postgres What Can Be Learned From The Gutenberg Accessibility Situation?